5. Add salt, melted butter, flour & maida . Mix to make a nice dough. 13. 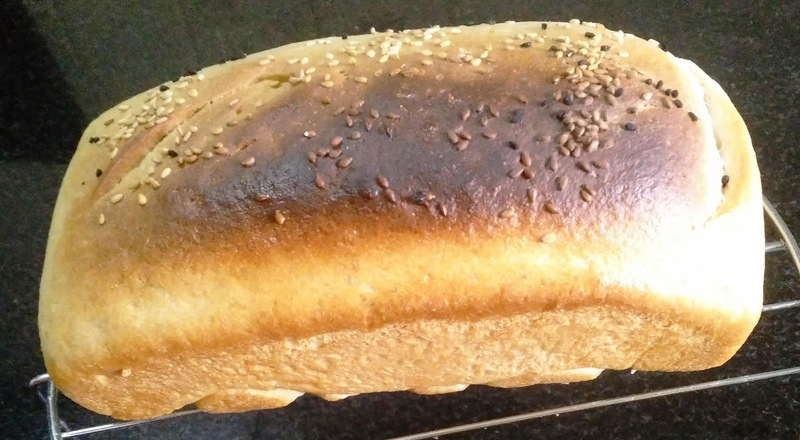 Sprinkle sesame seeds on the top. You can use oats or mixed herbs also. 14. 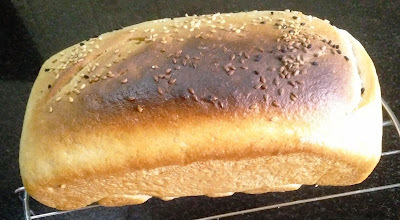 Bake the loaf in preheated oven at 200 C for 25 to 30 minutes or till it turns brown. 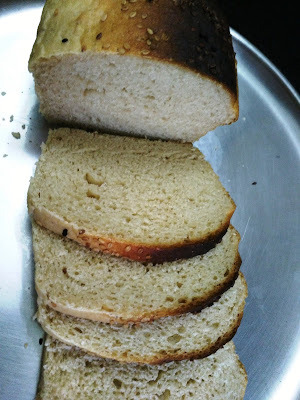 Enjoy hot home made soft loaf bread with maska!!! Hi manik. Which oven do you use for baking? 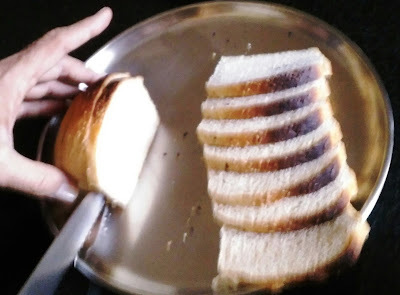 This is very nice bread . I want to bake it . Could you please let me know size of your cup in ml ?